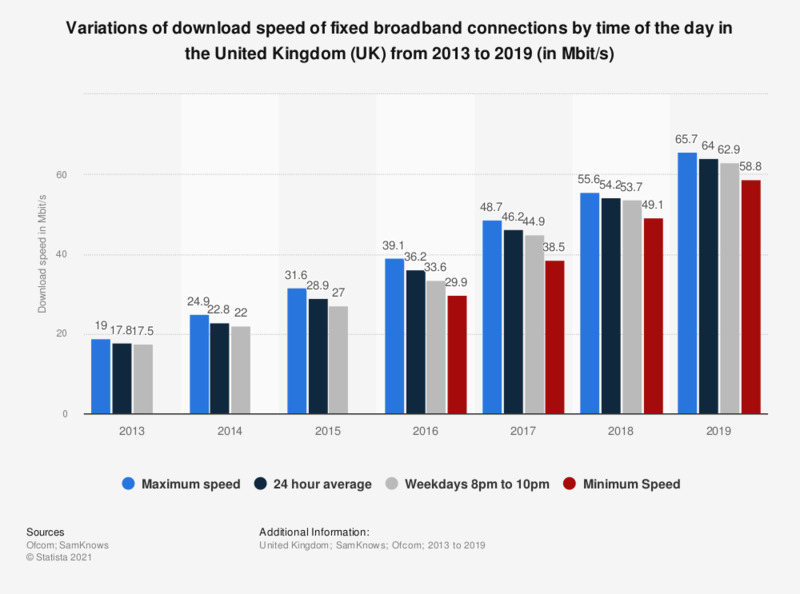 This statistic shows the variations of fixed broadband connection download speed (all connection types) by time of the day in the United Kingdom (UK) from 2013 to 2017. In November 2017, the maximum speed was 48.7 Mbit/s whilst during the weekdays from 8pm to 10pm it was 44.9 Mbit/s. (3) Data collected from multi-thread download speed tests.ng a connection speed. As of 2016, the variable "Minimum Speed" was added to the statistic.